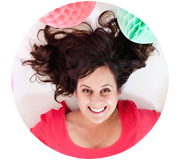 Now that we are firmly set in spring, Easter is on the horizon and all the babyshowers have already begun. 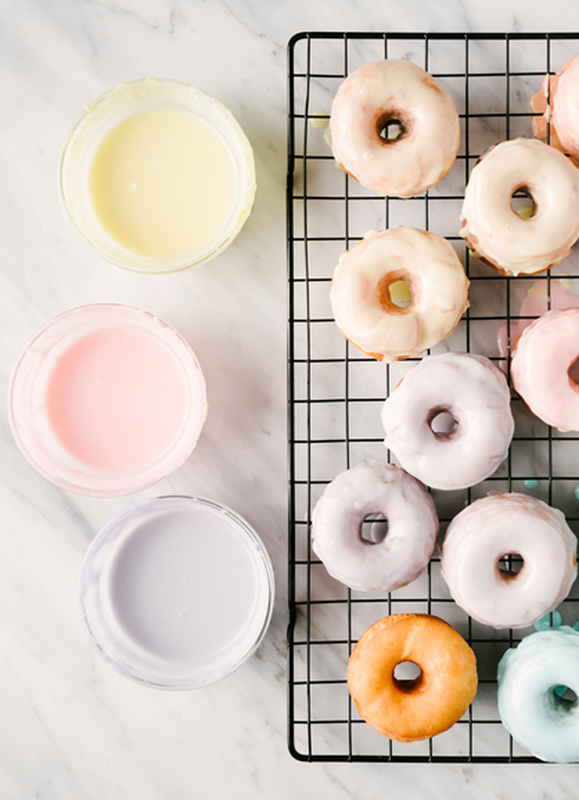 Dip dying eggs is sure fun, but drip dying donut icing is even better! 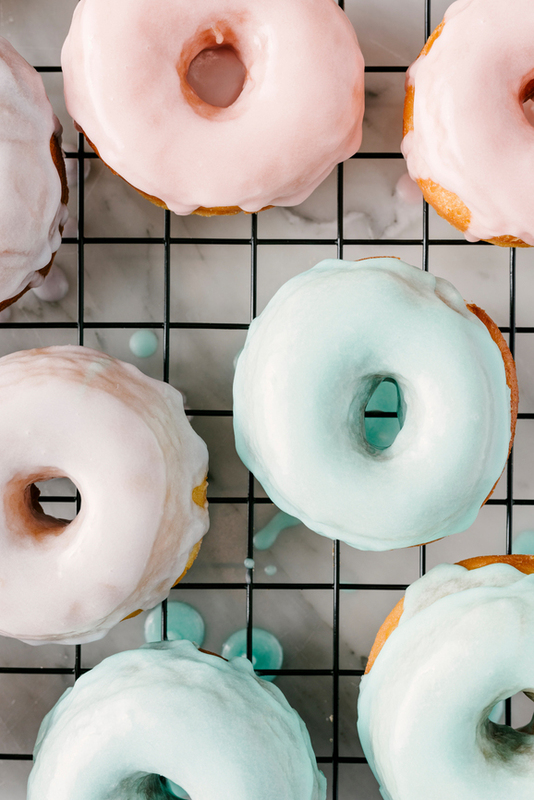 We’ve used pastel icing to create our own version of this dreamy donut display. 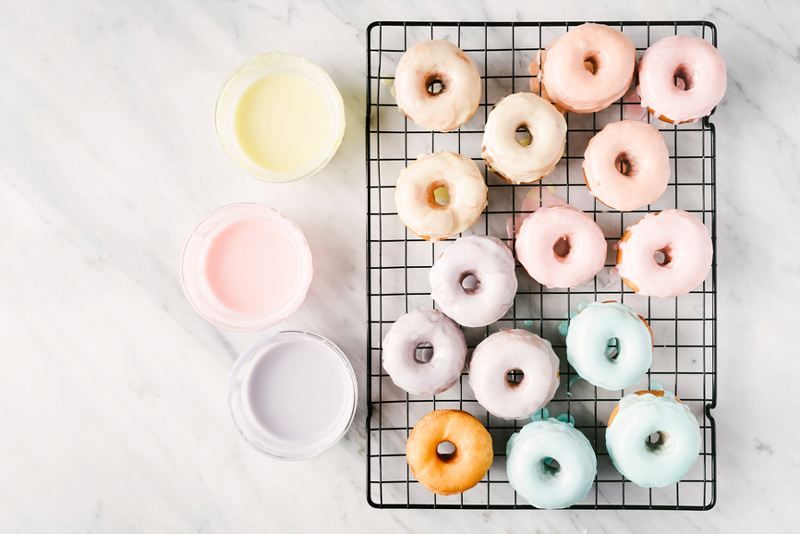 Last year we shared how to make the brightest frosting ever – and this year we are making the look more subtle for spring with a favorite trick I found for creating pastel icing drip donuts. They will look amazing lining the Easter brunch table or set in stacks to welcome in the new little guy. Whenever the desire springs for pastel icing or any frosting that the box does not include – it can be easy to create with a little added color. The Food Network shared this chart on how to make the prettiest pastels with various colors you can buy right from the box, which I love. 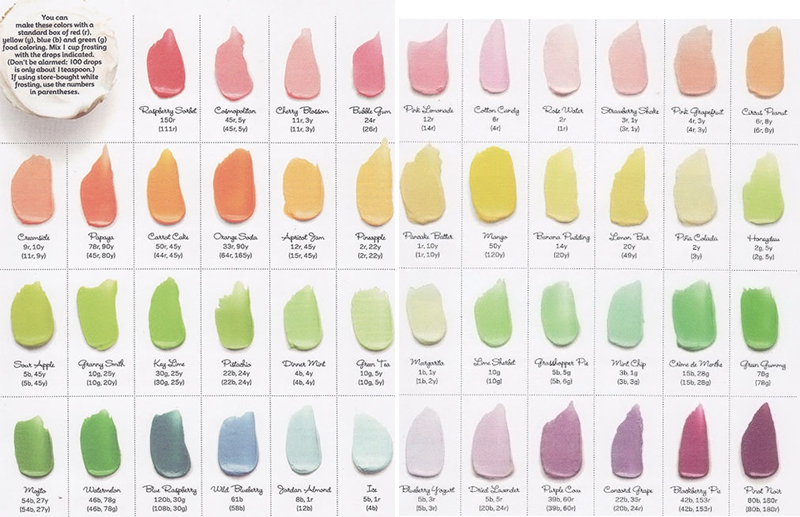 Follow this to find the perfect pastel icing hue for all your spring treats. 1. The first step is to mix the desired colors according to the chat above. 2. Once the base color is formed, I found a fun trick for getting a perfectly chalky pastel icing look. Add in about a tablespoon of powdered milk! A baker friend taught me this trick and it dulls the color on the donuts a little more than normal and gives them a chalky finish that resembles everything I love about spring. 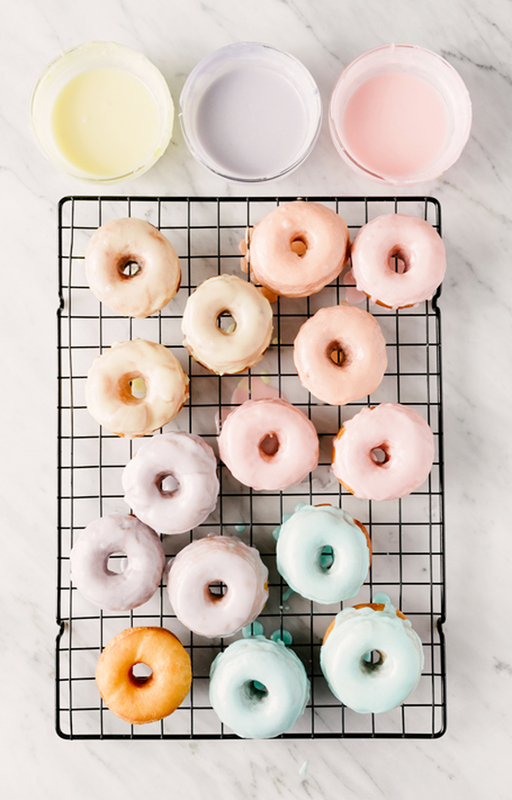 Serve a batch of these pretty pastel icing donuts and set the tone of subtle revelry for all the upcoming spring parties. PS. Finish off the pastel desserts with these dreamy ice cream squares and after dinner drinks in my favorite spring floral cups. (Photography in this post ©Cameron Whitman/Stocksy United). Hello! I am interested in your temporary rainbow tattoos! Do you still have some?